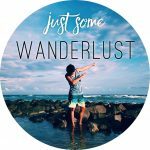 If you guys have any questions, feel free to contact me at jswanderlust95@gmail.com. Do subscribe to my email mailing list as well! Still working on the subscribe option in the mobile site, so do switch to the desktop option to subscribe!